This example of an Aston Martin Vanquish S is finished in Tungsten Silver with an Iron Ore Red interior and has covered 20,421 miles. Tungsten Silver, 3 owners, Aston Martin Works is the Factory Heritage Centre of Aston Martin Lagonda, £175,000. This advert is for an Aston Martin Vanquish, click Aston Martin Vanquish in Newport Pagnell to see more cars like this in the local area. Want to search further afield? 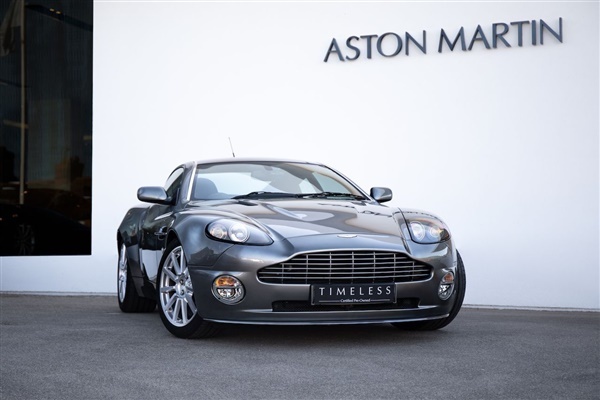 Click Aston Martin Vanquish in Buckinghamshire to search for similar cars in the wider Buckinghamshire area.